The Plastic Surgery Residency at the University of Washington aims to train physicians in all aspects of plastic surgery practice. As such, the program will produce independent, safe, effective, and conscientious plastic surgeons that are credits to their communities, the specialty, and the University of Washington. Ultimately, our goal is to develop safe and ethical plastic surgeons. We measure achievement of this goal by good standing in practice, and certification by the American Board of Plastic Surgery. The overall mission of the program will be achieved by participating in our unique institutions, our thorough didactic components and well-supported scholarly research components. We provide an abundant clinical experience that far exceeds minimum case exposures. We believe and promote the ideal of the physician-scientist and have been routinely acknowledged nationally. We have gathered international leaders in all aspects of plastic surgery to provide an unparalleled educational experience. The clinical and basic science faculty members are outstanding and the University is the top ranked public institution in NIH support, and consistently in the top few of all institutions nationwide. At the completion of this program, graduates will have an understanding of sound and relevant research and will be capable of designing and executing case reports, case series reports, prospective clinical protocols, and applied surgical laboratory studies. Specific goals and objectives for each rotation component are distributed to each resident, made available to each resident via the web and reviewed with each resident at least semiannually. Clinical exposure is paramount in preparation of the practicing plastic surgeon. We utilize four University of Washington-affiliated hospitals. These hospitals include: University of Washington Medical Center (UWMC), Harborview Medical Center (HMC), Veteran’s Administration Puget Sound Health Care System (VAPSHCS), and Seattle Children’s Hospital (SCH). These institutions represent the only level 1 Trauma Center, only major children’s hospital, only academic VA hospital, and only university-based tertiary referral hospital for a 5-state region, Washington, Alaska, Montana, Idaho, and Wyoming, representing nearly 25% of the U.S. land mass. Clinical experience for our residents, therefore, is outstanding and unparalleled. In addition to these large institutions, the plastic surgery residency has developed educational relationships with local community hospitals and private practice plastic surgery offices, providing a truly well-rounded plastic surgery training experience. The University of Washington Medical Center is a tertiary referral center for WWAMI (Washington, Wyoming, Alaska, Montana and Idaho). This connection provides exposure to an amazingly deep variety of cases. Harborview Medical Center is owned by King County and operated by the University of Washington School of Medicine. It is the primary Seattle metropolitan receiving hospital for trauma and surgery. It is the only level 1 Trauma Center and Regional Burn Center for the five-state WWAMI region. The Veteran’s Administration Puget Sound Health Care System is a referral center for the VA health care system. All of the medical staff are UW faculty members. VA Seattle includes a Spinal Cord Injury Center which represents a significant portion of the referrals to plastic surgery. Seattle Children’s Hospital possesses a substantial referral base throughout the WWAMI region. It is one of the busiest craniofacial surgery programs in North America. The office of Plastic & Reconstructive Surgery, Inc. is one of the premier private practices in the metropolitan area and is located in Renton, Washington, adjacent to Valley Medical Center. Their practice is quite general, including most aspects of plastic surgery. These physicians see approximately 9,000 outpatient visits annually and admit approximately 250 patients to Valley Medical Center. Madison Tower Plastic Surgery performs a high volume of aesthetic surgery. Residents rotate at this practice, which is near HMC, in the PGY6. The University of Washington Regional Burn Center is a cooperation between specialized burn surgeons, general surgeons and plastic surgeons. It is located at HMC and is closely involved in the residency starting early on in the first three years. Plastic surgery residents participate in both the acute and reconstructive care of burn patients during throughout their training. The plastic surgery residency is an integral part of the UW Hand Surgery Institute that is coordinated between the Division of Plastic Surgery and the Department of Orthopaedics. The University of Washington Hand Surgery Institute consists of hand surgery attendings, residents, and fellows from both Plastic Surgery and Orthopedics, working together in shared clinics, on-call responsibilities, and teaching conferences. As an integral member of this service, the Plastic Surgery Resident gains a broad, diverse, and comprehensive exposure to hand surgery that is available in very few other Plastic Surgery programs. As previously stated, the goals and objectives for the various rotations and components of the residency program are appended to this section and are distributed to the residents at the beginning of the program. Years 1 through 3 in our integrated Plastic Surgery residency are designed to build a solid foundation of surgical technique and care. Plastic Surgery is truly the last general surgery practice. Trainees require a broad spectrum of knowledge gathered from access to all of our surgical teams. Residents will work alongside both General Surgery residents and other specialty residents covering all aspects of patient care and methodology necessary to succeed in our specialty. While the first 3 years of training are crucial in building the surgical knowledge foundation, it is also important to begin Plastic Surgery training concurrently. In year 1 plastic surgery residents rotate at the University Hospital with our reconstruction team. Trainees learn the fundamentals of evaluation and hone manual skills utilized by plastic surgeons. Integrated plastic surgery residents work at Harborview on the coordinated Burn/Plastic Surgery service. This combined service has been in existence since the Division was founded by Dr. Engrav in 1977 and is an excellent collaborative experience. Finally, first year residents also participate in the Seattle VA Vascular/Plastic Surgery team with good exposure to a variety of both simple and complex plastic surgery cases. Rotation experiences include training in general surgery, thoracic surgery, otolaryngology, ophthalmology, neurosurgery, and of course plastic surgery. In year 3, residents participate oral surgery, dermatology and anesthesiology experiences among others. Third year residents also rotate at Children’s Hospital on the pediatric plastic surgery service, providing an introduction to congenital plastic surgery problems. Continuity of care is achieved at all of the institutions through resident participation in the various clinics. There are no “private” or “resident” clinics. Faculty and residents participate in all clinics together. In our quest to develop resident autonomy, the resident is required to make a plan prior to discussing the problem with the attending. Attendings do not dictate diagnostic or therapeutic plans. The resident formulates a plan of care which is then discussed with the attending and together a combined plan is made. This method of “making a plan” and then defending it against the critique of the attending physician trains the resident and permits her or him to assume increasing levels of independence. It is the goal that at the completion of training the resident will have made sufficient independent decisions (under faculty supervision) that he or she can easily assume the position of an independent physician. Residents are expected to serve as a member of the team on other services, without distinction as to their standing as Plastic Surgery residents. The goals and objectives for these services are identical for the Plastic Surgery residents and other residents. Residents are not assigned outside the United States. The didactic component is planned and modified at the beginning of each year in a meeting that includes all of the faculty and residents of the program. Weekly Division conference attendance by faculty and residents is mandatory. Visiting faculty speak at conference several times throughout the year. Ethics, professionalism, systems based practice and the optimal conduct of an interdisciplinary medical team, as well as medicolegal issues are regularly discussed on rounds and at the Wednesday morning conferences. The M&M conferences are actually termed “M&M&X” with the “X” representing cases involving ethics, professionalism, systems based practice and the optimal orchestration of a complex, integrated interdisciplinary medical team, as well as medicolegal issues- potential or real. In addition to the main Wednesday morning plastic surgery teaching conference, there are a number of specialty- and hospital-specific conferences that the resident attends depending on the current rotation. Residents are taught to understand and apply the scientific method to clinical medicine throughout the training program. This includes reviews of journal articles as part of the didactic program, presentation of topics based on the literature, and participation with the faculty in clinical and basic science research. Each resident completes one clinical research study and one patient safety/quality improvement project during his/her training. There is no specific research rotation during the program, but there is ample time to work on scholarly activity, particularly during the fifth year of training. Dr. Birgfeld joined the faculty in 2007. He completed his plastic surgery training at the University of Pennsylvania and a craniofacial surgery fellowship at the University of Washington. Dr. Birgfeld's area of specialty is adult and pediatric craniofacial surgery. He practices at both Seattle Children’s Hospital and Harborview Medical Center. He is the residency site director at Seattle Children’s Hospital. Dr. Colohan joined the faculty in 2011. She completed her plastic surgery training at Dalhousie University in Halifax, Nova Scotia followed by a fellowship in breast and microsurgery at UT Southwestern in Dallas, TX. During her residency, Dr. Colohan also spent a year at the London School of Hygiene and Tropical Medicine where she completed a Master of Science in Epidemiology. 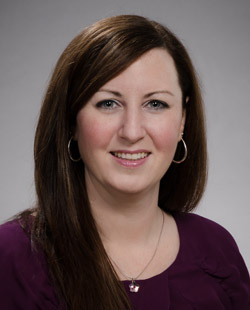 Her clinical interests include reconstruction of cancer defects including microsurgical techniques to reconstruct the breast, and general reconstruction using free flaps, pedicled flaps and perforator flaps. Her research interests include clinical outcomes in reconstructive surgery. She practices at the University of Washington Medical Center. 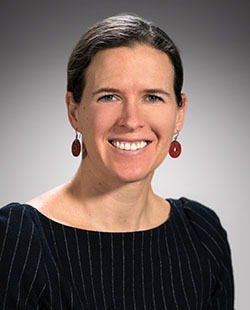 Dr. Friedrich joined the faculty in 2007. He was appointed Residency Program director in 2011. He completed his plastic surgery training at the University of Washington and a fellowship in hand surgery at the Mayo Clinic. Dr. Friedrich’s practice focuses on adult and pediatric hand surgery, brachial plexus surgery, burn hand reconstruction, lower extremity reconstruction and microvascular reconstruction. He has an academic appointment in Orthopedics and is one of 7 plastic and orthopedic surgeons that comprise the University of Washington Combined Hand Surgery program. He is also an Adjunct Professor of Urology and performs urologic reconstruction at Harborview. Dr. Friedrich is active nationally in multiple societies, and has been active in educational efforts with organizations such as the American Society of Plastic Surgeons, the American Society for Surgery of the Hand, AO North America and the American Association of Hand Surgeons. Finally, Dr. Friedrich has developed a research program in patient-reported outcomes following hand injury. Dr. Gougoutas, completed his plastic surgery training at the University of Pennsylvania. After residency, he completed a microvascular fellowship at the University of Washington in July of 2013. 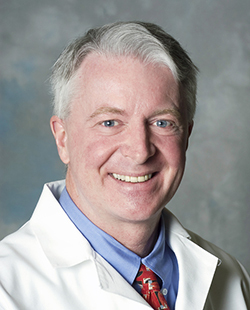 His clinical interests include general and cancer reconstruction, specifically microsurgical breast reconstruction. He also has a strong interest in aesthetic surgery of the breast, body and face. His research interests include clinical outcomes in reconstructive surgery. He practices primarily at the University of Washington Medical Center. Dr. Hopper trained at the University of Toronto and was a craniofacial fellow at NYU before joining the faculty in 2001. He is internationally recognized for his expertise in congenital craniofacial reconstruction, especially distraction osteogenesis. He has a basic science research program, focusing on the molecular basis of craniosynostosis, and he serves as an important research mentor to the residents. His practice includes congenital craniofacial and pediatric plastic Surgery at Children’s Hospital as well as maxillofacial trauma and facial reconstructive surgery at Harborview. He is the Surgical Director of Craniofacial Center at Seattle Children’s Hospital and is the Chief of Pediatric Plastic Surgery at Seattle Children’s Hospital. He is highly regarded for his teaching abilities and has been a leading force in expanding the didactic teaching program for the division and is a leading force in the craniofacial education program. He is also the director of the UW’s Craniofacial Surgery fellowship. 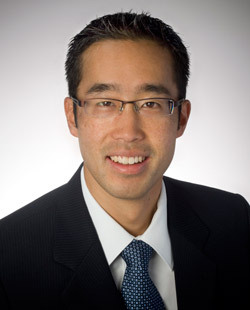 Dr. Kao is a plastic surgeon at Harborview Medical Center and the Hand, Elbow, and Shoulder Center at Northwest Hospital. He is also a UW assistant professor of Plastic Surgery and an adjunct assistant professor of Orthopedics and Sports Medicine. He specializes in hand and wrist reconstructive surgery. Dr. Kao believes it is important for patients to understand all the treatment options available, and he helps patients choose options that will work best for their individual circumstances. He earned his MD from the University of Texas Medical Branch at Galveston. He is fluent in English, Mandarin, and Taiwanese. Dr. Kao is experienced in treating common hand problems such as carpal tunnel syndrome and finger fractures, as well as complex hand issues such as finger replantation, toe-to-hand transfer, and brachial plexus reconstruction. Dr. Keys joined the faculty in 2012. She trained at the University of Washington. As she establishes her practice, she is deeply interested in Resident Education with plans to complete a Master’s Degree in Surgical Education. 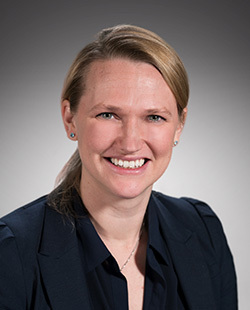 Her clinical practice divides between the Veterans’ Affairs Hospital and Harborview Medical Center where she has a broad-based practice covering a wide scope of general reconstructive surgery including microsurgery, complex wounds from both trauma and infection, and facial skin cancer reconstruction. Dr. Louie joined the faculty in August 2008. He is the medical student clerkship director for our faculty. He received his plastic surgery training at New York University and then completed a fellowship in microsurgery at the University of California, Los Angeles. His clinical practice is at the University of Washington Medical Center and focuses on reconstructive microsurgery. Dr. Louie is the medical student director for plastic surgery, He also manages plastic surgery quality improvement initiatives at the University of Washington Medical Center. Dr. Neligan joined the faculty in 2007. He is well regarded as an international leader in the field of microvascular reconstruction and facial reanimation and co-authored the definitive text on perforator flap reconstruction. 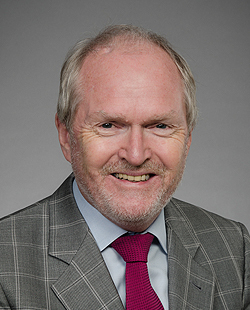 Prior to coming to the University of Washington, Dr. Neligan was chief of plastic surgery at the University of Toronto. 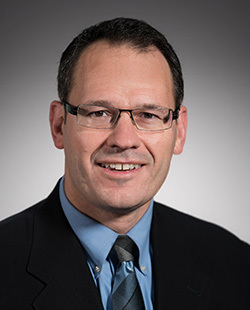 He is the Chief of Plastic Surgery and the site director at the University of Washington Medical Center (UWMC) and is the Director of the new UWMC Center for Reconstructive Surgery, a regional complex reconstruction center akin to the regional programs that currently exist within UW Medicine for burn and hand surgery. He holds leadership positions in plastic surgery at the national and international level. He is the Editor of the Journal of Reconstructive Microsurgery and is the Past President of both the Plastic Surgery Educational Foundation and the American Society for Reconstructive Microsurgery. Dr. Neligan is also the Editor of the comprehensive text for the field of Plastic Surgery, the multi-volume Textbook of Plastic Surgery. Dr. Said joined the faculty in August, 2006. 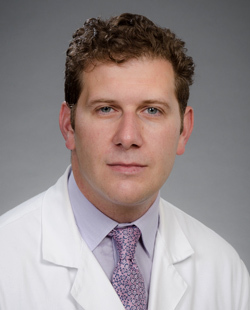 He completed his plastic surgery training at Northwestern in 2005 and recently completed the prestigious reconstructive microsurgery fellowship at MD Anderson Cancer. 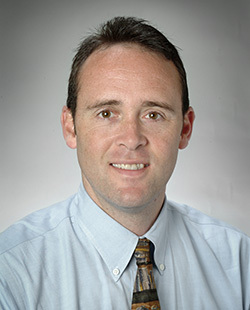 He is based clinically at the University of Washington Medical Center (UWMC) and is the residency site director there. With his excellent reconstructive microsurgery training, he is a vital addition to the UWMC service. With his computer science and engineering background, his research focus is in the area of 3-D modeling of tissue flap reconstruction as well as clinical outcomes research in reconstructive surgery. Dr. Said is also the director for the Microsurgical fellowship based at UWMC. Dr. Sousa joined the faculty in 2016. She completed plastic surgery residency at the University of Washington, followed by a fellowship in Reconstructive Microsurgery at the Royal Melbourne Hospital in Melbourne, Australia. Her clinical focus is oncologic reconstruction, with an emphasis on breast cancer, head and neck cancer, melanoma, and sarcoma. She also has a special interest in lymphedema surgery and peripheral nerve reconstruction. She practices at the University of Washington Medical Center. Dr. Tse joined the faculty in 2009. He completed his plastic surgery training at the University of Western Ontario, London, ON, Canada in 2005. He completed a fellowship in hand surgery at Stanford in 2006 and a fellowship in pediatric plastic surgery at the Hospital for Sick Children, Toronto, ON, Canada in 2007. 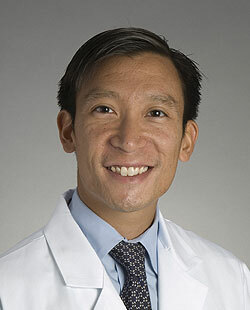 Dr. Tse practices at both Children’s Hospital and Harborview Medical Center. He comes to the University of Washington with extensive education and experience in academic plastic surgery and in cleft lip and palate surgery and microsurgical soft tissue reconstructions of congenital deformities. 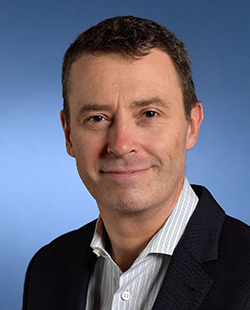 The academic environment of Seattle Children’s Hospital Craniofacial Center will allow his academic interest in clinical outcome analysis of cleft lip surgery to flourish. 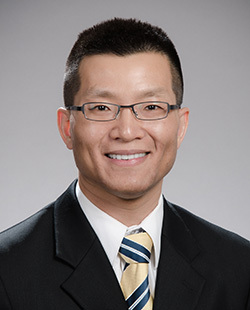 As he develops the pediatric brachial plexus program, Dr. Tse plans to follow an outcome-based care model that will be synergistic with academic productivity in this field. Dr. Vedder’s role is Chief of the Division and associate program director. He joined the faculty in 1990 as only the second faculty member in the division at that time, along with Dr. Loren Engrav. He is an internationally recognized expert in the area of hand and extremity reconstruction and in the basic science of ischemia-reperfusion injury. 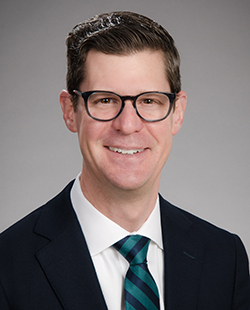 His primary practice is in hand, upper and lower extremity reconstruction at Harborview and also practices at the UW Medical Center’s Bone & Joint Center and at the Puget Sound Health Care System/Veteran’s Administration Hospital. In addition, he holds a joint appointment in Orthopaedics and he co-founded the University of Washington’s Unified Hand Surgery Service. He holds leadership positions in plastic surgery at the national level. He is the Past Chair of the American Board of Plastic Surgery, a Past Director of the American Board of Surgery, and her serves on the Plastic Surgery.